Established in the year 2002, Drymades Inn was founded by the well-known Albanian entrepreneur L. Gjikuria. 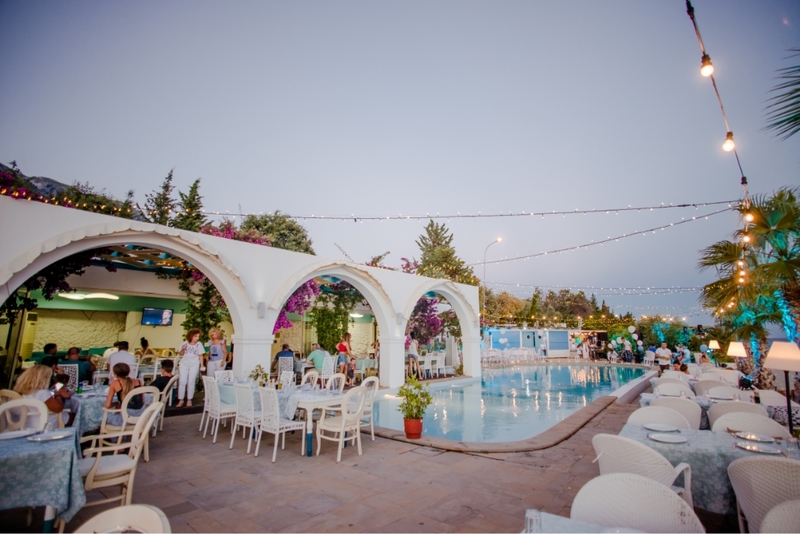 Having started as a resort in 2002, it took almost 10 years for the establishment to turn into the famous Drymades-Inn that every year welcomes more than 2.000 satisfied customers. 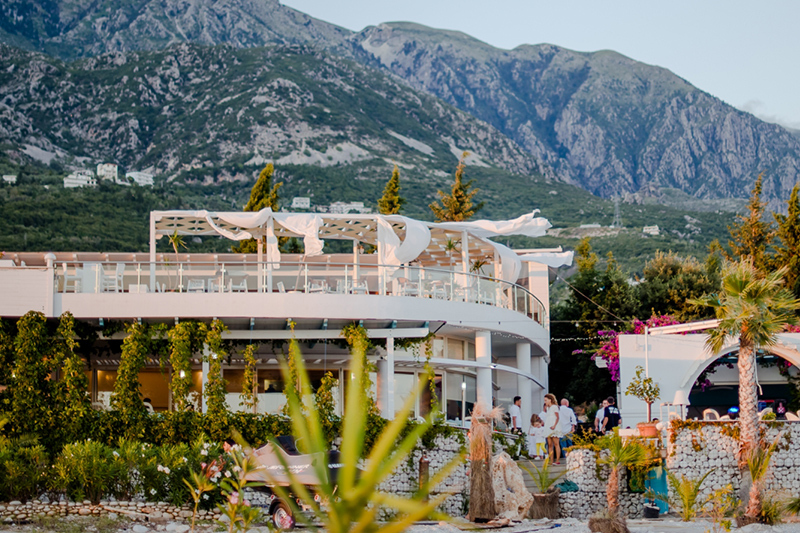 Located 42 kilometers south of Vlora, Drymades Inn is located in one of the most well-known villages of Albania – Dhermi. Surrounded by Akrokeraun Mountains and the Ionian Sea, the climate of the area is optimal for an even more enjoyable summer. Unique water colors, clarity of turquoise deep blue, burning orange sunsets over the sea, create an amazing show, before which everyone would surrender. 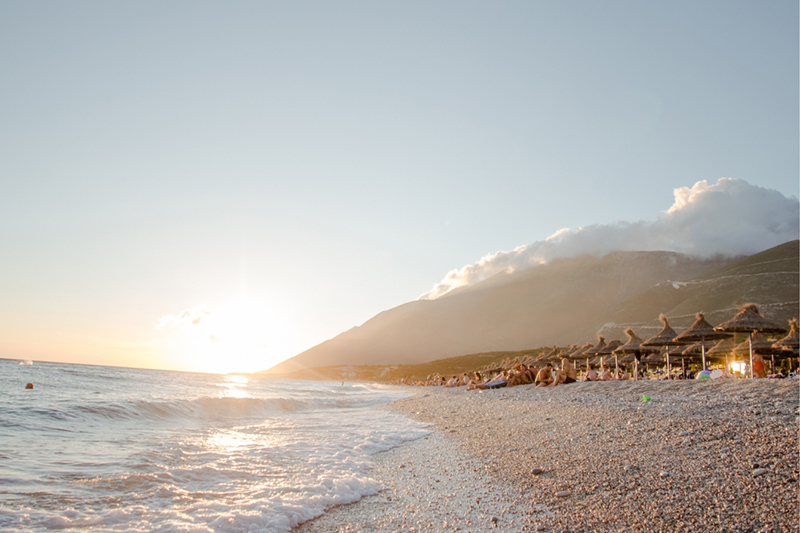 The private beach of Drymades Inn and Its strategic location makes it even more peaceful than other beaches in Dhërmi. Our guests have their own beach umbrellas and long chairs. For more active guests, included in the beach area there is also a space for beach volleyball, and water sports equipment available upon request.